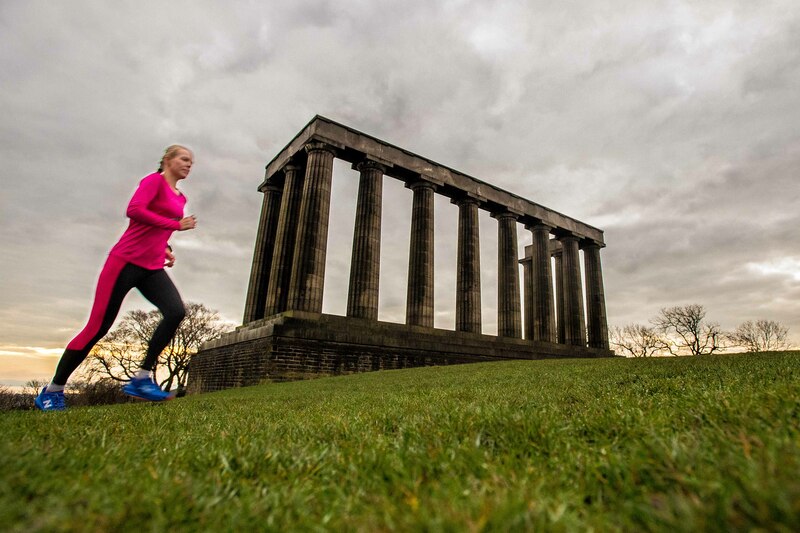 HOTEL guests looking to experience a fast-track tour of Edinburgh’s famous landmarks are getting a helping hand from one of the world’s leading endurance runners. The Crowne Plaza Edinburgh – Royal Terrace has created the perfect solution for on-the-go guests to combine business, sightseeing and exercise. Available 24/7 to all guests, The Energy Station is a dedicated unit within the hotel that provides a range of specially designed running, cycling and walking routes conceived by General Manager Lucja Leonard – using her skills as a leading super-marathon runner. Lucja has six years experience competing in long distance running events and only last week returned from South Africa after finishing eighth in the gruelling Kalahari Endurance Marathon. From running up Arthur’s Seat, to experiencing the bustling Princes Street or the iconic Calton Hill, Lucja has designed three unique routes for guests to witness the world-renowned splendour of Scotland’s capital – at a time and pace that suits them. Ranging from 3-5 miles, the routes are suitable for runners of all ages and experience and are designed to be completed within an hour, perfect for executive guests on a tight deadline and for those who don’t want to see their New Year resolutions fall by the wayside while away from home. Lucja is on hand to lead group sessions, be a running partner and give advice on warming up and warming down as well as overseeing the day to day management of the hotel. She said: “Many of our guests are pressed for time, having the dedicated energy station allows them to choose a time or route that suits them and their working schedule, its open 24/7 so guests are always in control of their stay and trip. “We understand the needs of today’s modern business traveller and how vital it is to make every stay as productive and successful as it can be for them. The seven individual townhouses that make up the hotel date back to 1860 and provide the perfect starting point for a whistle stop tour of the historic city centre. The Energy Station includes professional running maps and when guests return from their sight-seeing they can grab a towel, complimentary water and fresh fruit to replenish their energy. Lucja added: “Not only does it provide an opportunity to see the world famous sites of Edinburgh, it provides a healthy environment to socialise and I have been a running partner more than once to guests, which I really enjoy. Located just five minutes from Princes Street, the Crowne Plaza Edinburgh – Royal Terrace, has recently undergone a dramatic face lift involving a £7.25 million investment. The hotel specialises on meeting the needs of the modern business traveller, reinforcing the Crowne Plaza ethos of giving corporate guests the opportunity to keep connected and working, to refuel and to enjoy a rejuvenating night’s sleep to be ready to tackle the day ahead. As well as offering Crowne Plaza’s exclusive Sleep Advantage™,which includes a range of features from luxurious bedding to quiet zones, each of the 97 rooms includes complimentary high speed internet and flat screen TV’s. For more information or reservations on Crowne Plaza Edinburgh – Royal Terrace, please visit www.cpedinburgh.com or call 0131 557 3222. Award-winning Scottish public relations agency Holyrood PR in Edinburgh provides PR services to the Crowne Plaza hotel, including media relations and PR photography.